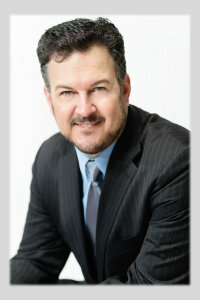 Todd Kuhnen is a criminal defense attorney with more than 15 years of experience in the legal field. He has practiced in multiple jurisdictions including California and Tennessee. Although his office is located in Placer County (Roseville, California), he provides criminal defense services for clients in all surrounding areas including Sacramento, Nevada, Sutter, Yuba, Yolo, and El Dorado counties. Mr. Kuhnen is a former supervising deputy district attorney, and has extensive knowledge of the criminal justice system. Now, as a criminal defense attorney, he is dedicated to using his unique skill set to provide his clients with the best defense possible. He starts this process by handling every case is if it will go to trial, and demanding that the prosecutor provide ALL the evidence they have, including evidence that points to innocence. In some instances, depending on the location and the nature of the case, there is a distinct possibility that Mr. Kuhnen actually trained the prosecutor who is handling your case. In addition to the law, Mr. Kuhnen also has outside interests that he follows. At the risk of offending the fan base of other teams, Mr. Kuhnen is not ashamed to admit that he is a huge fan of the Giants, 49ers, and the Sacramento Kings. He also enjoys golf. As a teenager during the hairband era in the mid 80’s Mr. Kuhnen followed in the footsteps of Eddie Van Halen, and started playing guitar when he was 15 years old. But it wasn’t enough to just play the guitar, in his mind he actually had to build his own electric guitar . . . just like Eddie. Now, several years later, he is still playing that same guitar he built when he performs with his cover band, Dgeunk.